Lil Baby, A Boogie Wit Da Hoodie and Rich the Kid will be performing at this year's Spring Fest on May 4. The Student Association announced the lineup Monday and teased it with three pieces of information to give students hints about the performers. Dimitri Roger, performing under the moniker Rich the Kid, recently released his debut album “The World is Yours” in 2018. The album found favorable reviews and reception, peaking at No. 2 on the Billboard 200. Co-headliner A Boogie Wit Da Hoodie is best known for the smash hit “Drowning,” which reached the Billboard Hot 100’s top 40. He released his second full-length effort, “Hoodie SZN,” in December. The album topped the Billboard 200. The final location and ticket information is yet to be announced. 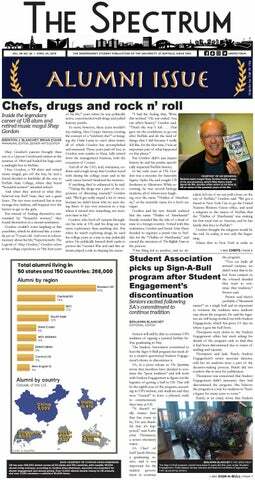 Brian Evans is the senior arts editor and can be reached at brian.evans@ubspectrum.com and @BrianEvansSpec.